Is anger a Christian virtue? Anger is a rational and emotional response to a perceived injustice and a desire for retribution, punishment, or at least calling to account. But if it does none of these things, and puts reason before emotion, anger can be a helpful, indeed sometimes necessary, stimulus to turn appropriate perception of injustice into suitable calling to account. Bill Clinton described the civil rights historian John Hope Franklin as “A happy angry man and an angry happy man.” This describes a good kind of anger that sees and responds appropriately to injustice, but does not allow bitterness to cloud its judgement over all other matters, and never forgets the purpose of anger lies in eventual restoration of relationship. Nelson Mandela could be described in similar terms. 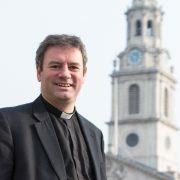 Sam Wells is vicar of St-Martin-in-the-Fields, London. This is taken from the autumn 2016 issue of Engage, due to be published in September. To see Sam at Catalyst Live 2016, book your tickets to the Reading event today. https://multisite.bmsmediaserver.org/catalystlive/wp-content/uploads/sites/2/2016/07/Sam-wells2-credit-Marc-Gascoigne.jpg 2089 3286 chris https://multisite.bmsmediaserver.org/catalystlive/wp-content/uploads/sites/2/2016/07/Catalyst-Logo-4-300x138.png chris2016-08-11 14:28:392016-09-01 17:06:43Is anger a Christian virtue?